The debate about removing Dodger pitcher Ross Stripling 7.3 innings into a no-hitter in his first career start recently raged within baseball, and my thoughts turned back to June 1, 2012. Most Mets fans probably know the date by heart–it was the night Johan Santana pitched the first no-hitter in Mets history. Santana, making a remarkable return from a torn anterior capsule in his pitching shoulder and limited to 110-115 pitches, asked to remain in the game to attempt history. Ultimately, Santana threw 134 pitches, and made that history. Mets manager Terry Collins has called June 1, 2012 “without a doubt the worst night I’ve ever spent in baseball.” Johan Santana made only 10 more starts in 2012, registering an ERA over 8.00. After being diagnosed the next spring with a recurrence of the same shoulder injury, Santana did not pitch in the majors in 2013, 2014, or 2015, and remains unsigned for 2016. Nobody has any idea whether the no-hitter specifically caused the derailment of Johan Santana’s career. Nobody has any idea whether letting Ross Stripling throw 15 or 20 or 25 extra pitches over his designated 100 in pursuit of history would’ve caused any harm to his career. 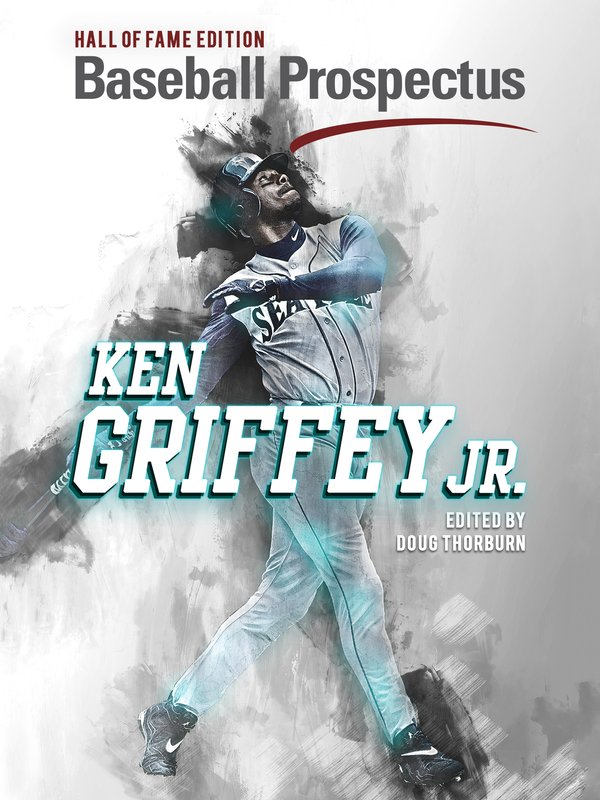 As Jeff Passan’s excellent new book The Arm lays out in great detail, almost all pitcher management–including 100 pitches as the norm for removal–is just a guess. On a recent episode of the Effectively Wild podcast, Sam Miller pointed out that by removing Stripling, Dave Roberts denied him a chance at a unique historical achievement, and the resulting lifelong fame and autograph signing paydays that would follow. Perhaps those might even outweigh Stripling’s chances of a substantial major league career. Just last year, the Mets–still managed by the same Terry Collins that describes himself as haunted by Johan Santana–continued to pitch ace Matt Harvey through the World Series, against the advice of his agent and surgeon. Michael Baumann covered the Harvey moral hazard of 2015 in depth when it was happening, and his thoughts are always worth a read. In short, the Mets only have control of Harvey through the 2018 season, and given that his agent is Scott Boras, from an economic perspective the team just doesn’t have much vested in his career beyond that. Harvey, meanwhile, is looking at a potential payday in the hundreds of millions in free agency, covering seasons where the Mets already assume Harvey will be wearing someone else’s uniform. Do the Mets have a moral imperative to get Harvey to free agency healthy and ready to go for someone else? Does Harvey have a moral imperative to give everything to the team he currently pitches for even if he diminishes his expected value on the free agent market by doing so? Harvey evened out the stakes a bit for his decision to continue to pitch in 2015 against medical advice by buying insurance, reportedly for both loss of performance and a career-altering injury. But Collins rode his ace, allowing a fatigued Harvey to talk his way out for the ninth inning in Game 5 of the World Series, just like Santana did for the eighth and ninth innings of his no-no. It’s striking to see Harvey scuffle early in 2016, with mediocre velocity and results leaving a lot of fans wondering. It will be easy to draw conclusions in retrospect if these scuffles are the result of an underlying injury, but what if Harvey’s just never the same ace again while still being average or even good? 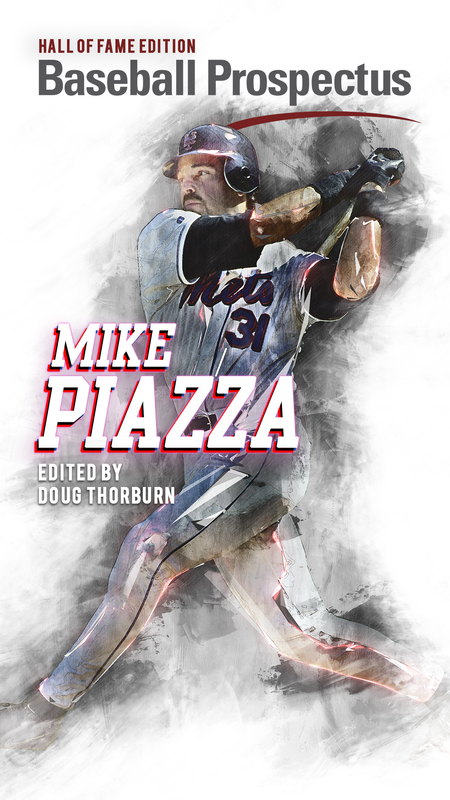 How do you know he wasn’t going to be that regardless of how hard Terry Collins pushed him late in 2015, or how long he pitched in Game 5 of the World Series? A more subtle and complicated dance between the present and the future is ongoing in the Met outfield. Michael Conforto is one of the most promising young players in the majors, every bit the equivalent on the hitting side of Matt Harvey. 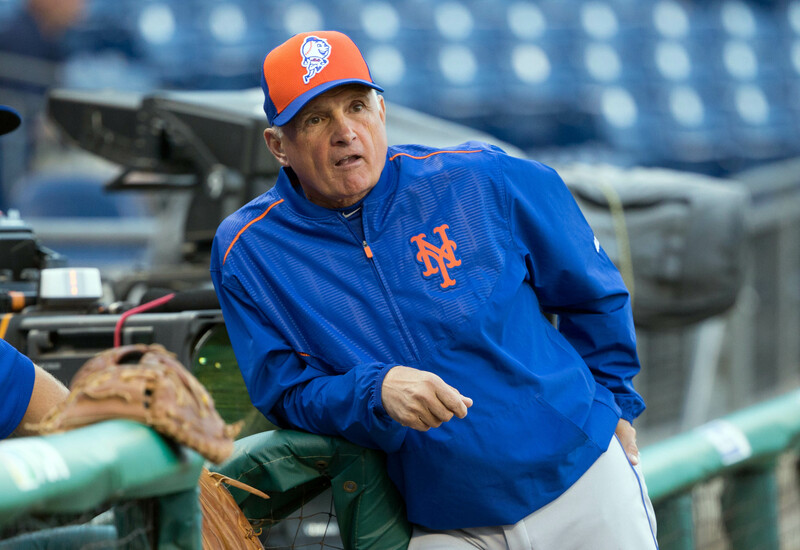 Terry Collins recently promoted him to the third spot in the batting order, but only against right-handed pitchers. Against lefties, Conforto sits. Collins has also continued a trend from 2015, pinch-hitting or double-switching Juan Lagares into games for Conforto, sometimes to strengthen the defense and sometimes to avoid having Conforto face tough lefty relievers. As my colleague Erik Malinowski pointed out on Tuesday, Conforto has barely seen left-handed pitching in the majors, and the only way to develop his abilities against lefties is to play him. But Conforto is not the only promising young Met in the equation who needs playing time. Lagares, a Gold Glover in center, is only 27 himself, and was a very good regular as recently as 2014. While injuries and extra bulk derailed his 2015, Lagares showed up looking like 2014 Juan Lagares again this season, and you would certainly like to get him some playing time. And then there’s a team monetary commitment to consider; Lagares is signed through the 2019 season as a result of a $23 million extension signed before 2015. Sliding Juan Lagares into center also allows the Mets to shift Yoenis Cespedes back to left. While Conforto is no defensive slouch himself, Lagares and Cespedes are both amongst the strongest defenders in baseball at those positions. Take one more step beyond that, and Lagares’s major offensive skill is crushing lefties. Through Tuesday’s game, Lagares is a career .281/.326/.429 against southpaws. With Lagares’s defense, that’s nearly impossible to sit against a lefty starter. So when we’re talking about the success of the 2016 Mets, a hoped-for pennant contender which has already dug a slight hole behind the Washington Nationals, Lagares in center and Cespedes in left is probably a superior lineup even assuming Conforto’s stardom. Collins has two other plausible slots to relieve the Conforto/Lagares logjam. Both right fielder Curtis Granderson and first baseman Lucas Duda also hit left-handed, and are viable choices to sit to get Lagares in against lefties or for defense late in games. Granderson has shown huge platoon splits through much of his career, including 2015. Duda hit lefties in 2015, but it was the first time he had done so. The Mets and Conforto have discussed getting him playing time in right or first, but Conforto has yet to play a position other than left in his professional career. Cespedes, another potential fit as a right fielder in the playing time shuffle, has also never played right in MLB, and has been rumored to be skittish about playing there. This is a heck of a lot of information for Terry Collins to weigh when filling out his lineup card. Underlying all of this is managing the clubhouse. Like Santana in 2012 and Harvey in 2015, Granderson is an established star player, a locker room leader coming off a great season out of the everyday leadoff role. Do you want to be the manager to tell Granderson that he’s no longer a regular player? Lucas Duda has hit 59 home runs since becoming a full-time player at the beginning of 2014, and hit lefties better than righties last year. For that, he earns a demotion to the long side of a platoon? These aren’t easy situations to handle. Neither is a potentially compromised pitcher chasing history, or your ace asking for the ball two months past where he was supposed to, all the way to the ninth inning of a World Series game. Managing a major league team goes deeper than getting the optimal lineup order and summoning the correct reliever for the correct situation. These are people, with future earnings and emotions and agents and egos and families and expectations. Dealing with all of that, well, I’m glad that’s Terry Collins’s job and not mine.